The following list of city-owned streets have been identified as those most needing attention and will be repaved this year. 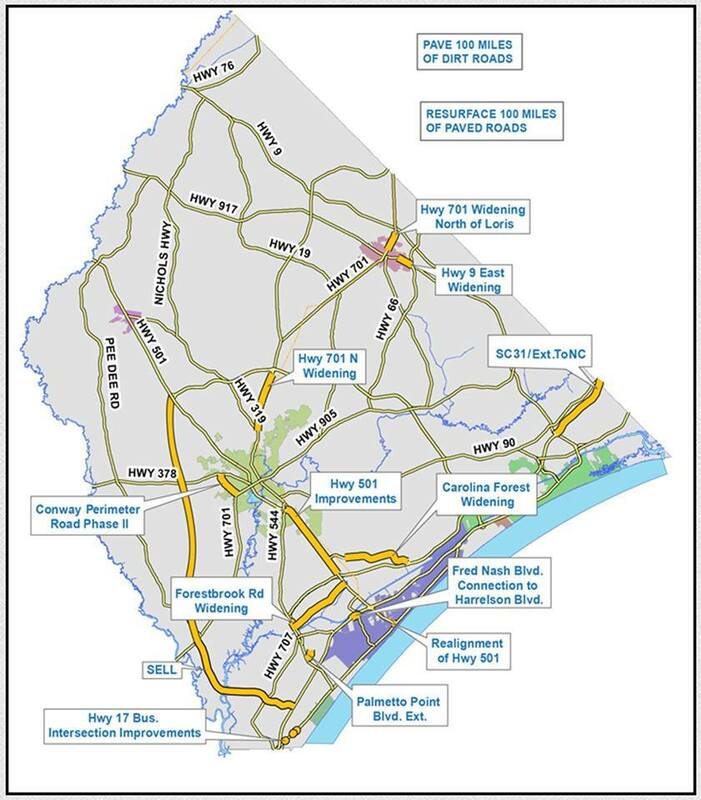 Funding for the maintenance effort – nearly $2 million – is part of the RIDE III effort to resurface100 miles of paved roads in Horry County. Areas east of Kings Highway will be paved this spring, while the remainder of the list will be paved in the fall. What is RIDE III? By a margin of 69% to 31%, Horry County voters approved a referendum supporting RIDE III in November 2016. Beginning May 1, 2017, Horry County imposed a 1% Capital Project Tax to fund road construction and maintenance. The repaving list is just a small part of the grand total, but local residents should notice the improvements. All RIDE III project funding must be approved through the RIDE III Commission and Horry County Council. For more information and an interactive map, see www.horrycounty.org/Council/RideThree.aspx.